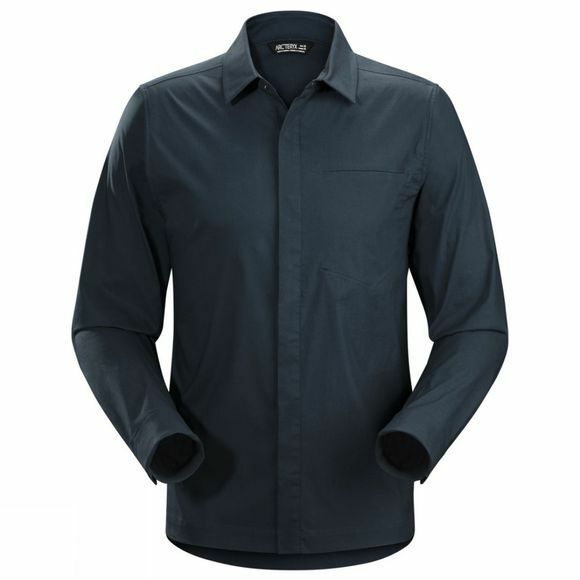 The Men's A2B Long Sleeve Shirt from Arc'teryx is a classic long sleeved button shirt made with performance fabric to ensure your comfort throughout the day, from commute to cafe. The Kole fabric is treated with Shoeller 3XDry technology to combine comfort, water repellency and wicking properties in a stylish shirt that also has a little stretch to ensure full freedom of movement. UPF 50+ ensures you are protected from harmful rays making it a particularly great option for summer days while the discreet reflective detailing under the collar offers a little extra visibility to others when the light starts to fade.